Windows Central reports that Microsoft’s Surface Book 2 is now available to buy from Microsoft and Best Buy, along with many other retailers worldwide. You can pick one up for a starting price of $1,499 and a high-end price of $3,299. The new Surface Book shows just how far the Microsoft laptop-tablet hybrid has come in the 2 short years since the first Surface Book was released. The updated version now boasts Intel’s eighth-gen quad-core processors and optional NVIDIA GeForce GTX 1050 or 1060 graphics. This is also the first Surface model to feature a USB-C port, which is one feature that a lot of users have been wanting for a long time. The fulcrum hinge has also been improved to make it more durable, and according to Microsoft, the Surface Book 2 has an amazing battery life of up to 17 hours. Another big change is the fact that you now have two sizes to choose from, with both a 13.5-inch and 15-inch model available. Microsoft has today announced the launch of its Shocktober Halloween promotion via the Windows Blog. The “collection of terrifying games, chilling entertainment and haunting apps on your Windows 10 PC” includes some great deals for Windows 10 PC content. First off we have Resident Evil 7 Biohazard Deluxe Edition, complete with Season Pass, for half price, meaning that you get what would normally cost $89.99 for $44.99. 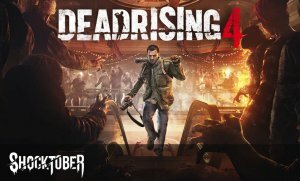 Then we have the Dead Rising 4 Deluxe Edition, which gets a discount of 15%, meaning that you’ll pay just £46.99 instead of £54.99. Next up, TellTale Games is offering up to 60% off some of its titles including The Walking Dead: A New Frontier, The Walking Dead: Michonne, Batman: The Enemy Within, and Guardians of the Galaxy. On the less scary side, you can also get 30% off djay Pro, perfect for those Halloween parties. Windows Central reports that following months of testing, the Windows 10 Fall Creators Update has finally begun its public rollout, which will be taking place gradually around the world over the next few months. If you’re impatient to receive the update you can check manually to see if it’s ready to download via Windows Update. And even if the rollout hasn’t rolled round to your part of the world yet, you can go to the Windows 10 website and select the option to “Update Now.” Or you can download the ISO files for a clean install. 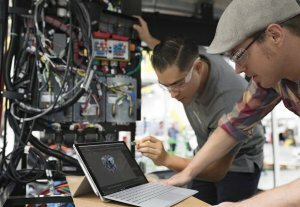 The Windows 10 Fall Creators Update has been thoroughly tested by Windows Insiders over the past few months. Some of the major new features that it contains include OneDrive Files On-Demand, Windows Mixed Reality headset support, and lots of instances of Microsoft’s new Fluent Design language, as well as the My People section that has been added to the task bar.